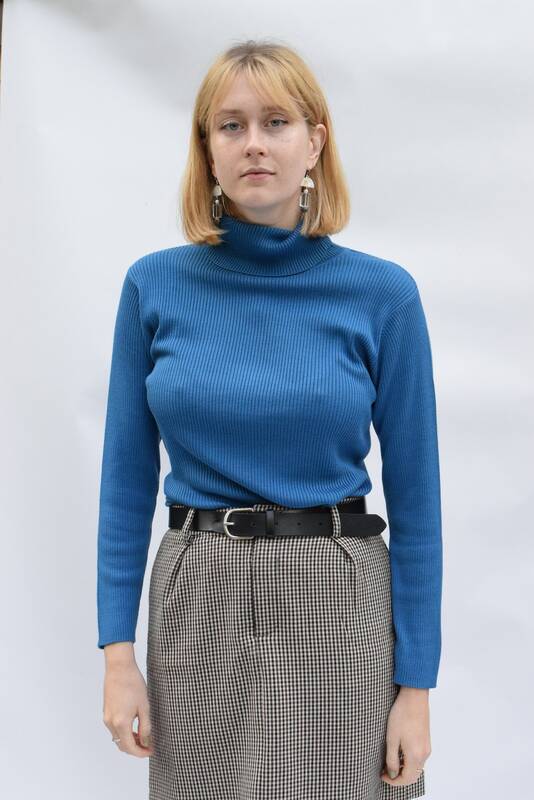 Silk and cotton blend teal ribbed turtleneck sleeve top. Light weight material with lots of stretch. All measurements are taken in inches with the garment laying flat. Measurements are taken un-stretched, but fabric has quite a bit of stretch and so can accommodate a couple more inches than shown here. Shoulder width 18" || Sleeve length 23" || Bust 40" || Hip/Waist 36" || Length from back of neck 22"